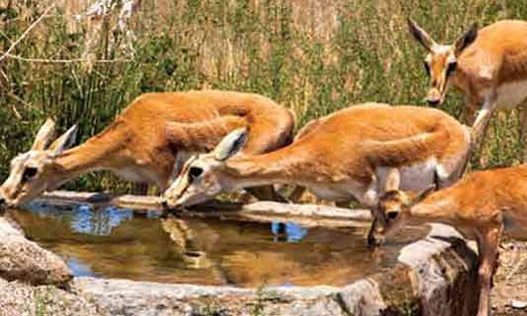 The depletion of water resources in the protected natural areas and parks of Khuzestan Province is posing a grave danger to the region’s wildlife. ISNA quoted a spokesman for the western province’s Environment Department on Monday August 3 who said the water conditions there are cause for serious concern and the dwindling water resources are putting the region in crisis. Adel Mola added that the Environment Department is creating artificial water holes and even providing forage for the wildlife but he insists this is all just a “temporary solution”. The environment official says all active springs in Mishdaq have dried out and all water is delivered by tankers to “prevent further damage to the wildlife”. The report adds that the deer population in the region has seriously declined due to the water shortage.